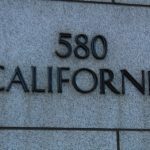 Genesis Graphics & Signs, Inc. creates attractive address signs that help your business get found! Make sure your packages, deliveries, and customers can easily locate your facilities with custom address signs and plaques. When trying to identify all of the different bits of signage your business needs to effectively assist guests, these simple elements can be easy to overlook. 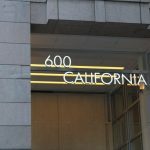 However, a skilled sign company can help you to understand exactly what you need to professionally provide all important information that any customer or visitor may require or desire. Call Genesis Graphics & Signs, Inc. today at (832) 293-4899 for a Free Consultation with a Signage Specialist! 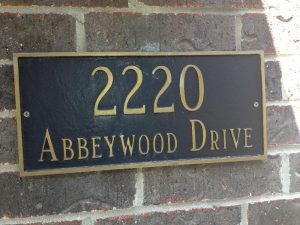 There are many different types of address signs, from door vinyl to custom etched blocks. 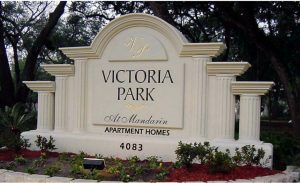 Your address may also be an addition to another sign, such as your monument sign. 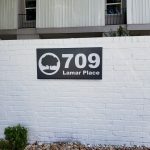 Regardless of the method you use for displaying your address, a professionally done sign will not only make it easy for you to be found, it will make a positive first impression on your clients, customers, and visitors. Genesis Graphics & Signs, Inc. uses your brand guidelines or desires to create the right sign for your business. Just because your sign is a functional element doesn’t mean it has to be boring! 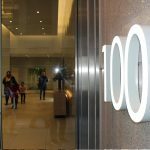 We make bright address signs, funky aluminum address numbers, or backlit acrylic address numbers so you can be found in the dark. At Genesis Graphics & Signs, Inc. all of our signs are custom made to your specifications, allowing you to get exactly what you want and need for your building and business. We handle every aspect of your signage project, including sign design, manufacturing, and installation if needed. Genesis Graphics & Signs, Inc. is here for all of your commercial signage needs, from indoor signs to building signs, vehicle wraps, bulk yard signs, and more.